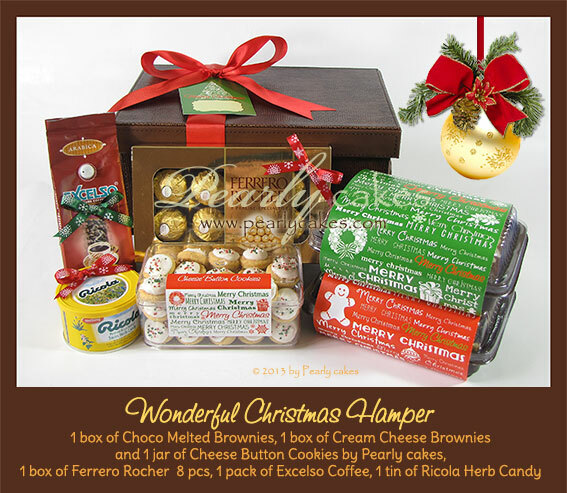 Christmas is coming soon and our Wonderful and Joyful Christmas Hamper are waiting for you. It’s perfect for your beloved family, friends and special someone. And also as a Christmas corporate gift. Both hampers are including red satin ribbon and Christmas tag that can be personalized for order submitted before December 15th, 2013. 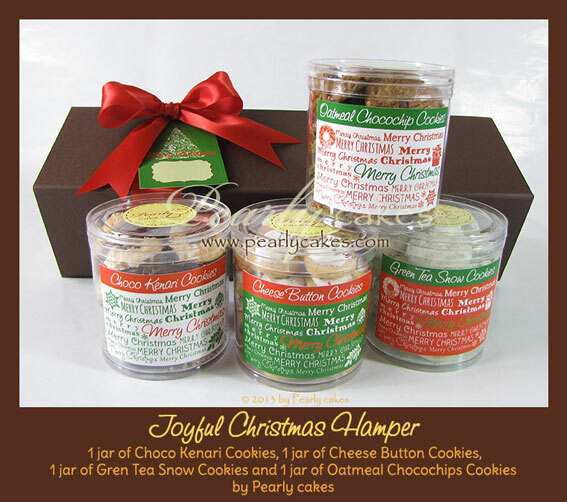 Another good news is that you can select your favorite cookies to be arranged in the Joyful Christmas Hampers. Please check our selection of cookies. Place your order soon by filling the order form or email us at pearlycakes@gmail.com. You can also contact us for more information regarding prices and other details. We wish you a wonderful and joyful December to welcoming Christmas. Our products are made from scratch using high quality ingredients, only fresh fruits and natural ingredients for flavoring, with no preservatives added.